Everywhere you go there are Malaysian airliners, on the makeshift sympathy signs dotting the town, on a magnificent mosaic hidden in a highway underpass, on the back of (some) 20 ringgit notes. I've already written how the tragic mystery of Malaysia Airlines Flight 370 has engaged the people who live here. Now that I've finished reading the history of the Royal Selangor Flying Club, I understand that a little better. 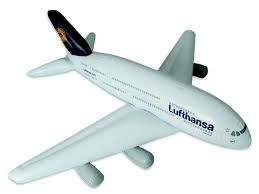 The airline and the club grew up together and can even be considered products of the same parents. But as aviation soars, especially in this part of the world, the once formidable 85 year old club struggles to maintain a presence in a vastly different world. On a steamy Sunday two weeks ago I spent the day at the club, located at the in-town Simpang Air Force Base. I'd been invited by the president, Abdul Razak Hashim and the club manager and chief flight instructor Manvinderjit Gill. Inside the spacious two story building, it is easy to see how this was once a thriving center for aviators. There's the operations desk and flight planning office both of which are still used, along with the game table where pilots knock around a ping pong ball while waiting for their turn to fly in one of the club's three Cessna 172s. But most of the tables in the spacious and sun-filled first floor are unoccupied and the bar appears not to have been stocked for years. In its heyday, however, the flying club was the center for all things aviation, Major Razak tells me. The club was formed in 1929, even before the country's Civil Aviation Directorate. The first pilots pre-date certification so they they flew without licenses. The earliest members were British planters, merchants and businessmen, including, one of the founders, the grandfather of Flightglobal's David Learmount, Major L.W. Learmount. In 1929 he'd already started the Royal Singapore Flying Club two years earlier. Chinese and Malay names start appearing in the membership rolls a few years later. Then, World War Two and the Japanese occupation of Malaysia put a halt to everyone's pleasure flying from 1941 to 1946. The Clubhouse in the 1940s. The Japanese added the tower during the occupation. I can imagine the good times described in the club's journals; air races and flying lessons, curry lunches and dinner dances. The club trained police pilots and private pilots and earned money with aerial photography. There were a few years when pilots were hired to air drop money onto the inaccessible agricultural plantations and tin mines, one hundred thousand dollars worth of payroll delivered from the sky in 1948 alone. The club added planes and members and spruced up the club house. From 1952 to 1965 there was no better place to be. The brick building with the terrazo floors offered a view of the runway of what was Kuala Lumpur's first international airport. In 1979 the club celebrated fifty years with a Golden Jubilee extravaganza featuring the Rothman's Aerobatic Team. It's bittersweet to read the program for the blowout event, now that fortunes have turned. Kuala Lumpur is a booming 21st Century metropolis, while the club flies on the edge of uncertainty. Soon they will be booted off the air base, practically the only home they have ever known, as the government eyes the property for development. The best place to see this ongoing evolution is from the sky, which I did that very afternoon in the company of flight instructor Nur Uzmana Husamudin. Moments after takeoff, KL's skyscrapers were below our little Cessna. I saw one enormous bird soaring across the sky though construction cranes were ubiquitous. Nur zoomed by the KL Tower, tipped her left wing to give me a better view of the Istana Negara Royal Palace then circled the city's most famous landmark, the ornate Petronas Towers. Returning to the air base vast swaths of the city are in various stages of preparation for even more construction. All this development was fueled by aviation, which is hot, hot, hot in Southeast Asia and has been for a while. In 2013 air traffic in the Asia Pacific region grew more than 5 percent over 2012 according to the International Air Transport Association. Opportunities for pilots, especially those with airline aspirations like Nur, have never been better. Will they appreciate the value of clubs where flyers can socialize as their parents and grandparents once did? I think so. My head was spinning as Manvinderjit carried on about all the air events the club participated in over the past few years. While Nur exhausted me listing her activities, the most inspiring, her volunteer work helping 21-year old James Anthony Tan, become the youngest pilot to fly around the world in 2013. Members of the Royal Senangor Flying Club may not know where they will be in the future but I'm going to guess that more adventures lie ahead. Watch Nur's landing on runway 22 here. Malaysian incompetence is well known. "On April 5, Chinese state-run news media reported that Haixun 01, a Chinese government search vessel apparently operating outside the zone designated that day by the search coordinators, had twice detected underwater signals that might have come from the missing plane’s flight recorders. Photographs published by the official Chinese news agency, Xinhua, showed crewmen using a hand-held hydrophone intended for use in shallow water, casting doubt on the value of the claims. Still, search officials sent H.M.S. Echo, a British vessel equipped with highly sophisticated listening technology, to verify Haixun 01’s report. Several days later, Echo was quietly pulled from the area of the Chinese ship and sent to assist Ocean Shield, an Australian vessel also equipped with high-tech listening equipment that had detected four signals that search coordinators believed came from the plane’s flight recorders."